CLASSIC COLESLAW SALAD WITH MAYONNAISE(HOMEMADE). Homemade creamy coleslaw salad with mayonnaise. A classic American salad to go with everything you dish out at picnics, especially grilled meats and burgers. An easy salad for all seasons and occasions. 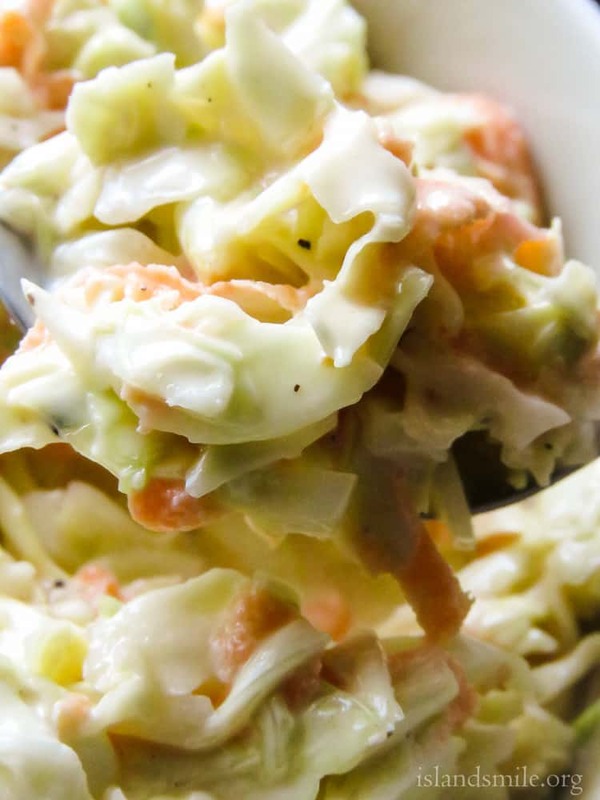 Finely sliced cabbage, carrots, a dash of pepper and creamy mayonnaise are the main ingredients in this easy coleslaw salad. 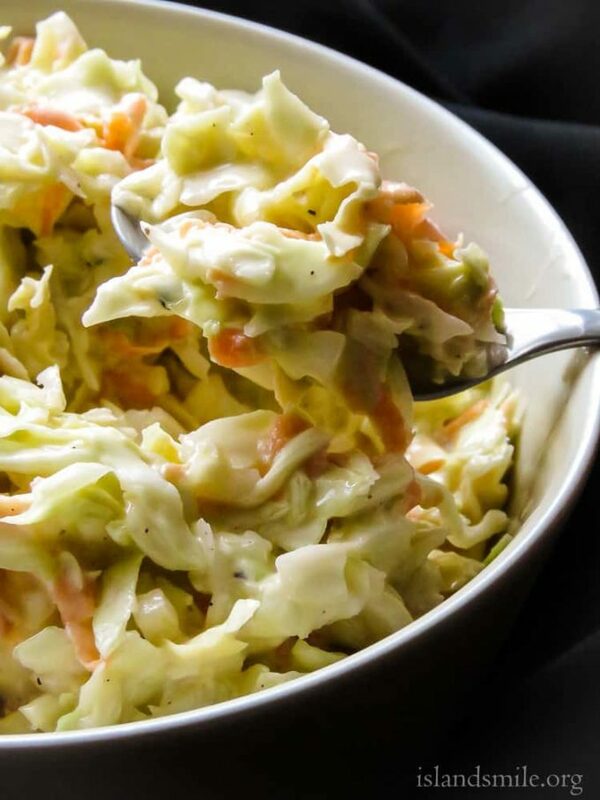 It’s ideal for long summer picnics if you are wondering, how to keep the coleslaw fresh when it’s hot? Well, all you need is a cold pack to keep it fresh. 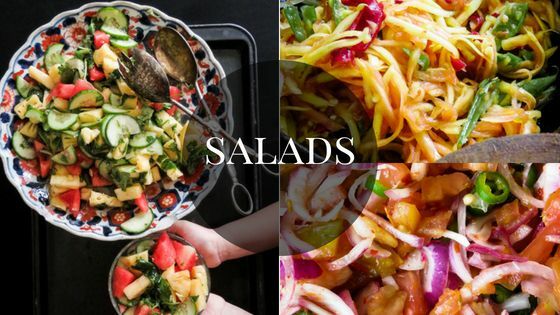 There’s no other salad that would please both adults and kids than a large bowl of creamy Coleslaw served with barbecued meat, burgers and hotdogs. My kids love the KFC Coleslaw, so I tend to make the salad a few times a month at home. 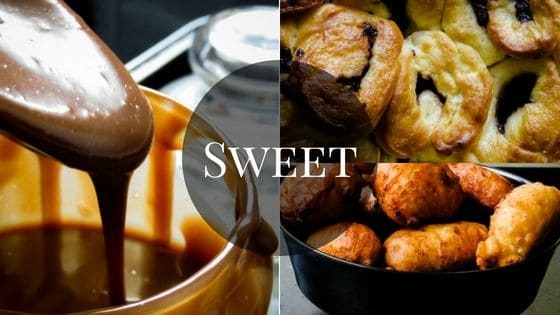 Not only is it easy to make but you can also teach the kids to make it. Don’t forget, this is one more sneaky way to get the kids to eat their carrots and cabbages without a fuss. I’m always, always surprised how quickly they stuff themselves with the salad which you and I both know is basically a raw salad with only a salad dressing right? Ever wondered what coleslaw is? 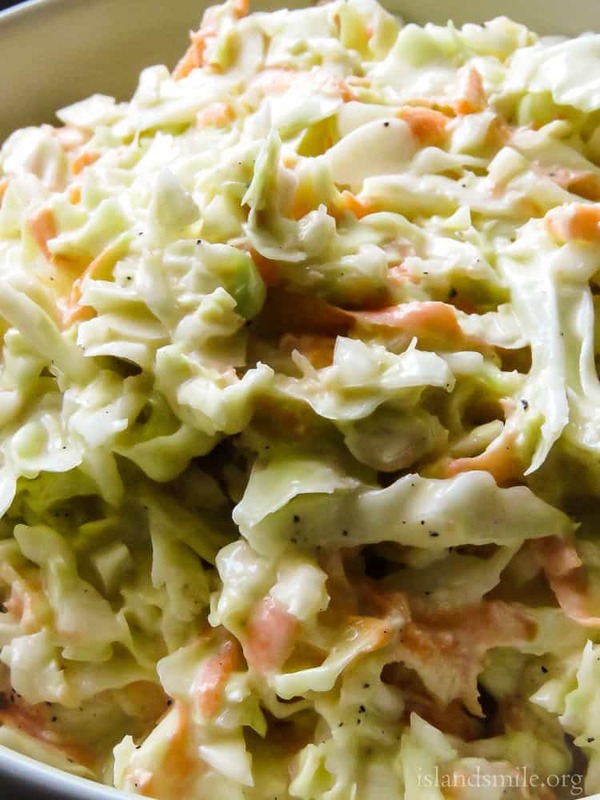 Coleslaw is basically a salad made using, mainly cabbage, there are many variations that coms under a slaw with extra ingredients, such as, carrots, onions. 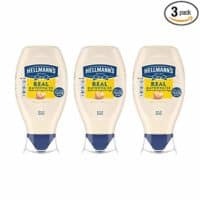 The dressing for the salad can either be vinegar based which will give you a tangy flavour or a creamy version using mayonnaise. 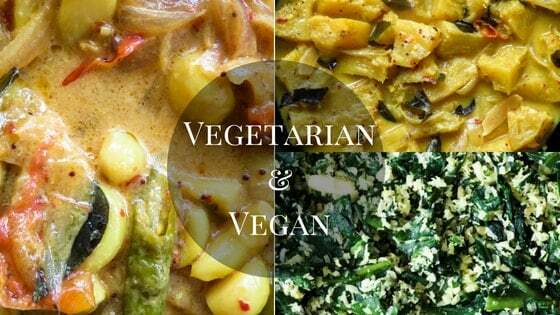 Depending on your lifestyle and how health conscious you are, choose your own variation. Me, I like this mayonnaise-based coleslaw because what I mentioned before on how easy it is to feed bowls of cabbage and carrots with ease. 1 medium-sized cabbage would give you 4 cups of raw shredded cabbage since most groceries sell in weight, I would estimate you would need 400-500g or 14-15 oz. This would easily serve 5 individuals. 400-500g of cabbage would give you 4 cups. this would roughly serve 4-5 individuals easily but buy a little more than the 500g mentioned here as there will be extra servings. How much cabbage will I need for 2? 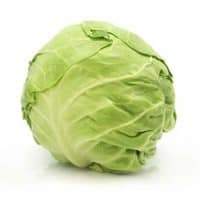 200g of would give you 2 cups of cabbage that should be enough for 2 but as mentioned above, make a little extra to be on the safe side. small bowl to mix the salad dressing. Is there a substitute I can use instead of mayonnaise? You can substitute mayonnaise with non-fat Greek yoghurt. How to make Coleslaw in a bag. If you can buy the cabbage and carrot in pre-shredded packages, you can transfer them to a ziplock bag, make the Coleslaw dressing, add it to the bag, lock the bag in place, give it a good shake and refrigerate. 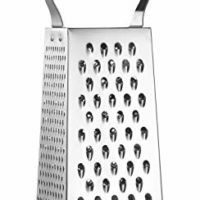 Slice the cabbage thin and grate the carrots as well, make sure the carrots are grated using the large surface holes in a grater. 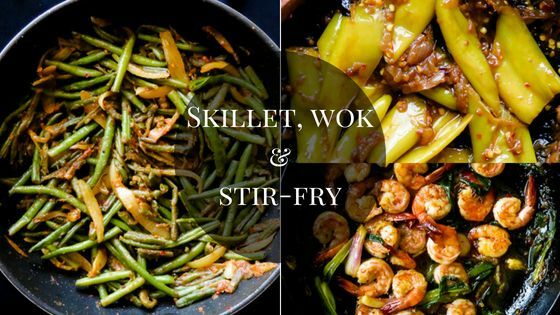 Place both the above ingredients in a large bowl. Add mayonnaise, sugar, lime(optional) to the bowl and combine all ingredients until the vegetables are completely coated with mayonnaise. Season with salt and pepper, since coleslaw tastes better slightly cold, once you make the salad, cover with cling film and refrigerate. Let the Cole slaw rest for 2 hours before serving. Before you serve the Coleslaw, give the salad a mix, check if you are satisfied with the seasoning then serve. 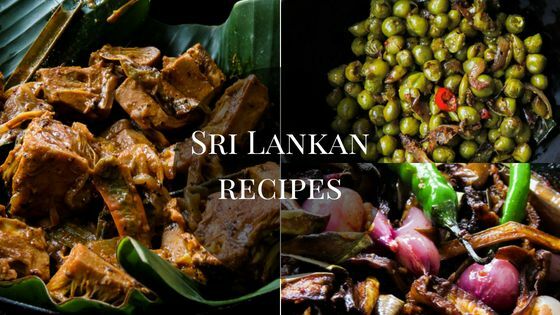 Other salad recipes you might like. Raw beetroot-feta salad with pomegranate dressing. Healthy garlic-olive oil potato salad. HOMEMADE CREAMY COLESLAW SALAD WITH MAYONNAISE. A CLASSIC AMERICAN SALAD TO GO WITH EVERYTHING YOU DISH OUT AT PICNICS, ESPECIALLY GRILLED MEATS AND BURGERS. AN EASY SALAD FOR ALL SEASONS AND OCCASIONS.